Heather K. O'Hara (H.K. O'Hara) is an award-winning poet and novelist who inspires us to look beyond the ordinary and find the extraordinary. Currently the Poet Laureate for "10 Million Clicks for Peace"—one of the largest peace organizations in the world, founded by Rick Beneteau and Julian Kalmar; and endorsed by Arun Gandhi, Deepak Chopra, Jack Canfield, Mark Victor Hansen, and countless others who envision a more peaceful world—she has authored numerous volumes of original poetry, inspirational articles and self-empowerment books. Additionally, she has co-authored a book of self-improvement articles, 101 WAYS TO IMPROVE YOUR LIFE: VOLUME 2, with bestselling authors: John Gray, Jack Canfield, Richard Carlson, Bob Proctor and Alan Cohen. 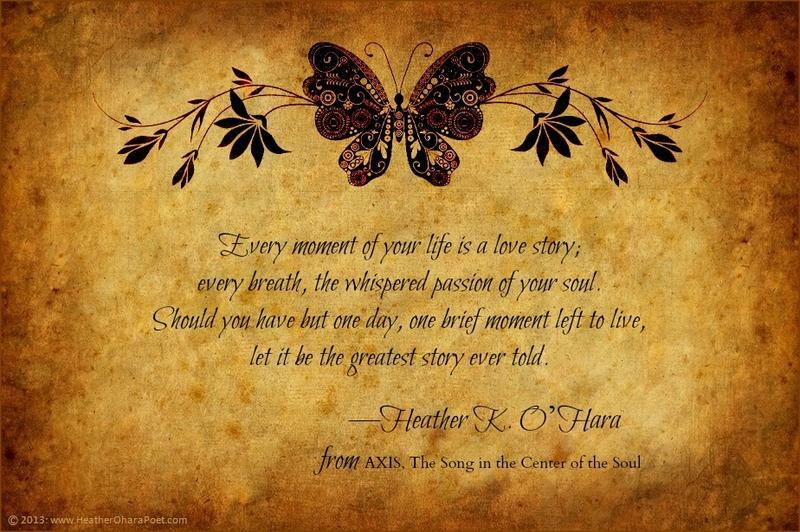 From 2005 through 2011, her first published volume of original poetry, AXIS, The Song in the Center of the Soul – 1st Edition, was available as a hardcover book and became an Amazon.com bestseller. (The new 2nd Edition is now available in paperback.) And, in May 2012, her book, Quantum Truths: Notes on Becoming What We Have Always Been, became a number one bestseller in its category on Amazon Kindle. 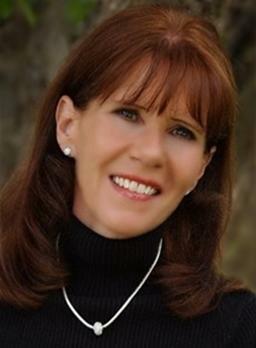 For more information about Heather K. O'Hara and her work, you are invited to visit her flagship website, www.QuantumGrace.net. There, her mission is to provide inspiration and information to all who wish to live empowering, inspiring, extraordinary lives. 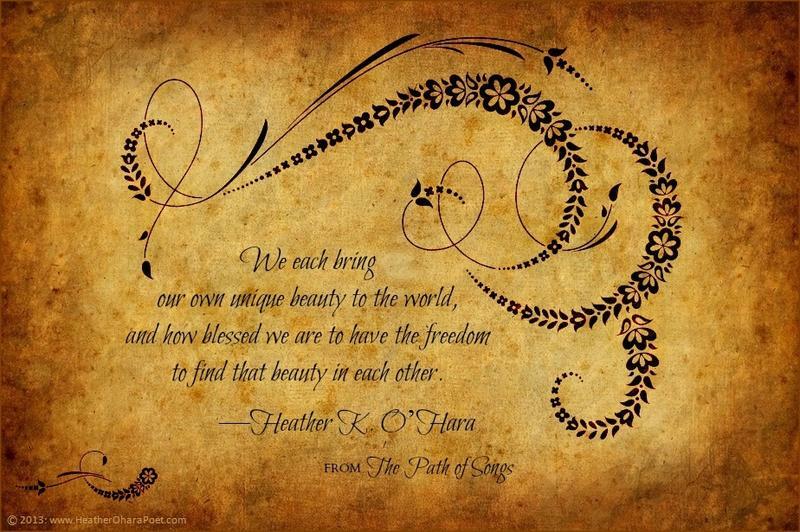 And, in celebration of everyday grace, the power and beauty of self-love, inner-peace and universal friendship, she writes a free PDF Newsletter, "A Touch of Grace" from Heather O'Hara—which now has readers in more than 100 nations across the globe. Heather currently lives in the USA in the beautiful state of Colorado. She is a lover of beauty, creativity, diversity, and the journey of self-expression. Also the owner of Studio-9-Design, East-West Books (and its western imprint Watermark Publishing), she loves working with other authors from around the world; helping them edit, publish and promote their own beautiful books. "We did not come here to be common… We did not travel this great distance to give up, give in, and lie down. We came here to wake up and be joyful; to stand up and be powerful; to open up our hearts, our minds and our eyes as we expand our knowledge and our perception... You are extraordinary and you are powerful beyond belief!"